Core Module in Creative Process and Immersive Practice that encouraged Uversity students to explore their creative process through a combination of artistic, scholarly and somatic activities. Optional Modules provided students with the flexibility to design a customised programme based on their personal educational goals and areas of interest. A choice of modules in the creative and performing arts were offered by Uversity’s twenty-four higher education partners. Students were encouraged and facilitated to attend more than one institution. Creative Project that was completed during the Summer term in a host institution of the student’s choice. The programme leading to The MA (Creative Process) is no longer running and Uversity has changed its mission to offer higher education scholarships for adult learners. The educational records of Uversity graduates have been transferred to NUI. As a graduate of Uversity, and therefore NUI, you can have your educational record authenticated and access the following services from us here at NUI at any time. Should you require a duplicate copy of your NUI degree parchment, NUI can provide you with this. There is a fee attached to this service which is outlined on the relevant form. You can request duplicate copies by downloading, completing and returning the form available from the Document Services for Graduates page. 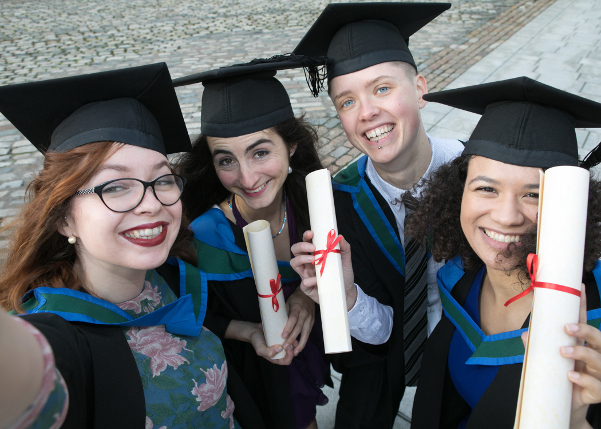 As a graduate of NUI, your details are automatically included on the NUI graduate register, with all the other graduates from NUI Higher Education institutions in Ireland. As an NUI graduate, if you are an Irish citizen, you have the right to vote in the Seanad Éireann elections. Seanad Éireann is the upper house of the Irish legislature. You must claim your vote, before you can use it. Full details of Seanad Éireann and how to register can be found on the on the Seanad Éireann page. If you have a general query, we may be able to assist you. Please contact registrar@nui.ie and we will respond to you as soon as possible.